Anne studied Arts and Law at the University of Western Australia. After graduating from Law she completed her articles of clerkship with Arthur Robinson and Hedderwicks (now Allens) in Perth, before moving to Melbourne to work in commercial and intellectual property litigation. 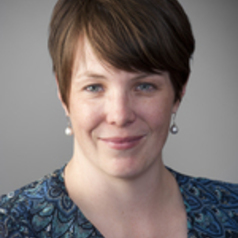 In 2003 Anne reloacted to London to complete a Master of Laws degree at King's College London, University of London, and in 2005 found her way to Adelaide and commenced work at the University of Adelaide as a Lecturer in the Law School. Anne is an Associate Professor in the School. From 2010 - 2012 she acted as the Law School's Associate Dean of Learning and Teaching (UG). Anne teaches civil procedure and dispute resolution, and has a particular interest in anti-discrimination and equality law. She represented SA on the Law Council of Australia's Equalising Opportunities in the Law Committee for five years, and is a member of the editorial board of the Legal Education Review. Anne established the Law School's 'Teaching the law' seminar series in 2009, and is currently co-coordinating the series.